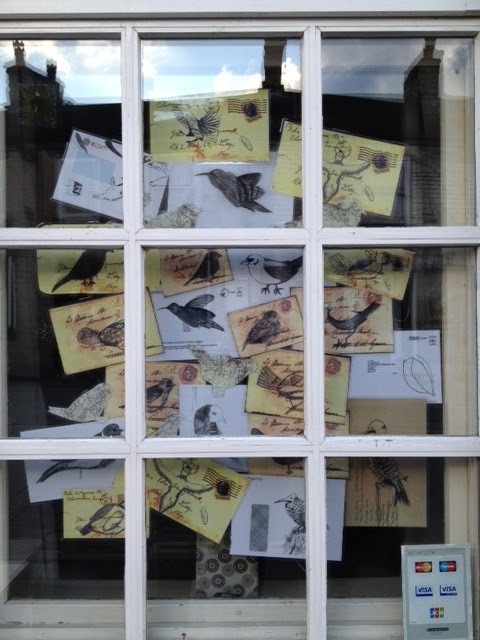 Working with class 8M for window display at The Pride of the Peaks, part of New Mills artsFEST 2014. 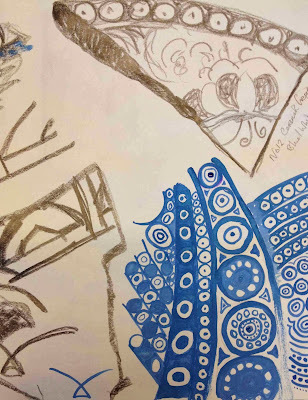 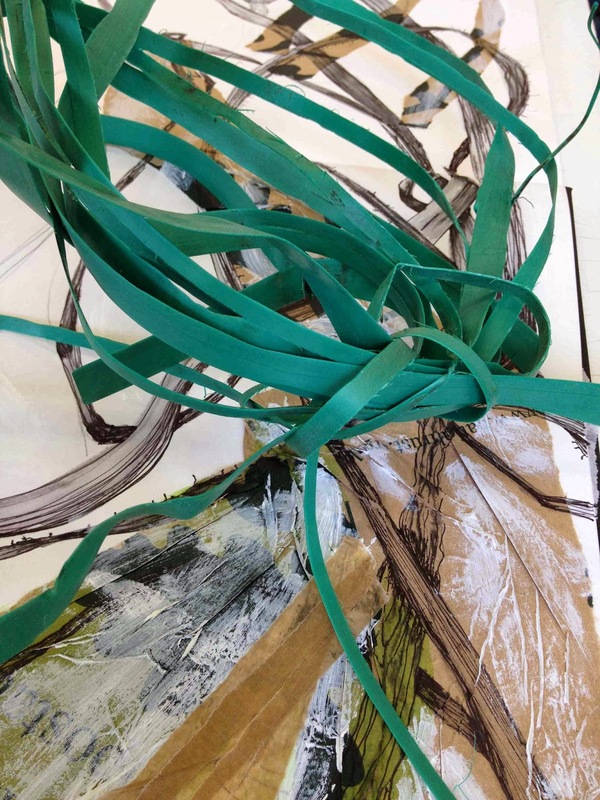 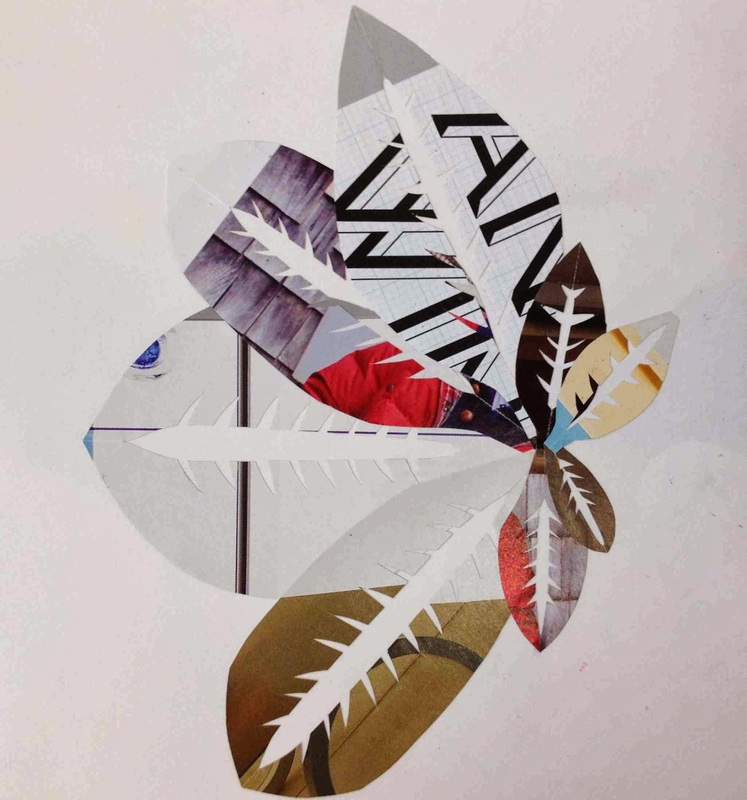 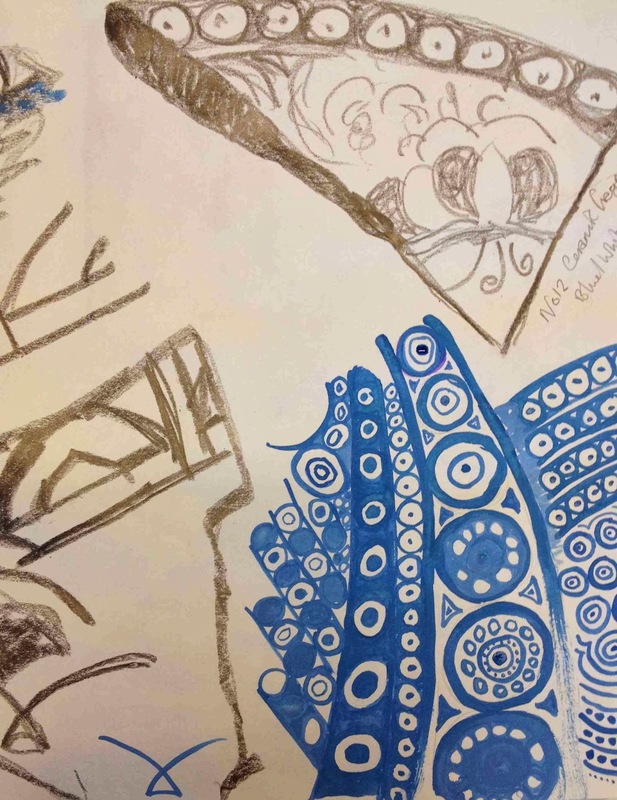 8M from New Mills Business & Enterprise College have recently been looking at the work of two contemporary artists, Claire Brewster and Mark Powell and have created their own work inspired by these artists. 8M used local maps to create beautiful paper-cut bird sculptures. 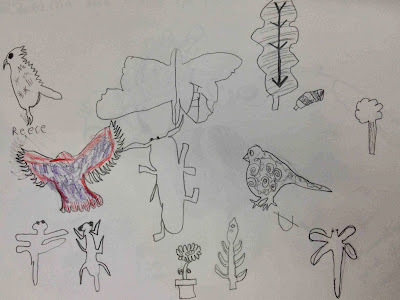 The birds were first drawn onto the map and then cut out. 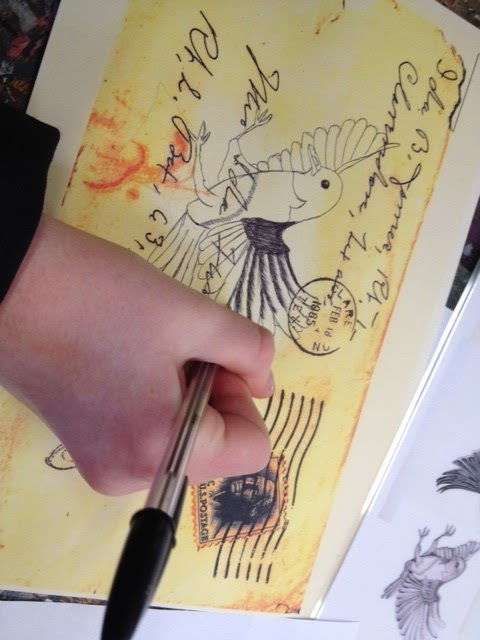 Mark Powell is a contemporary illustrator who produces illustrations on interesting, unusual or recycled surfaces. 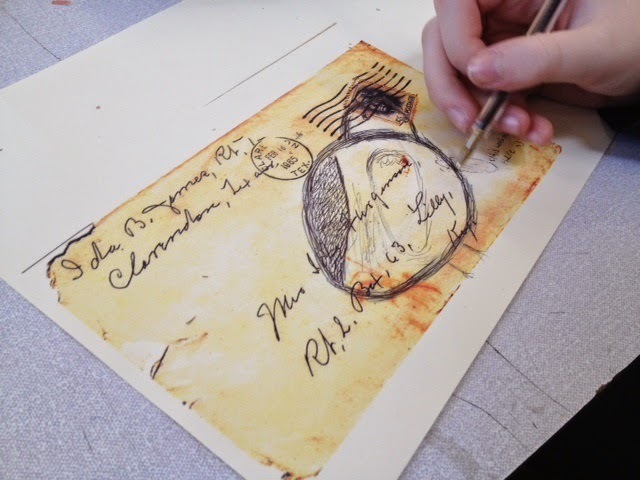 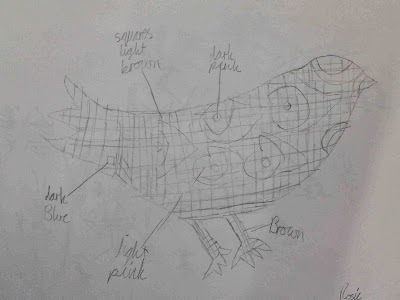 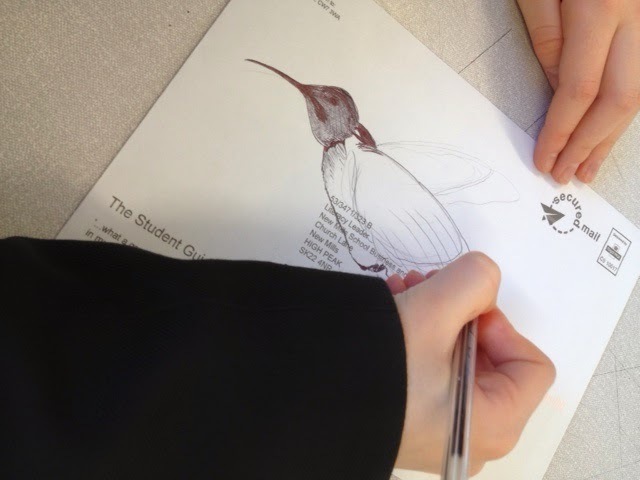 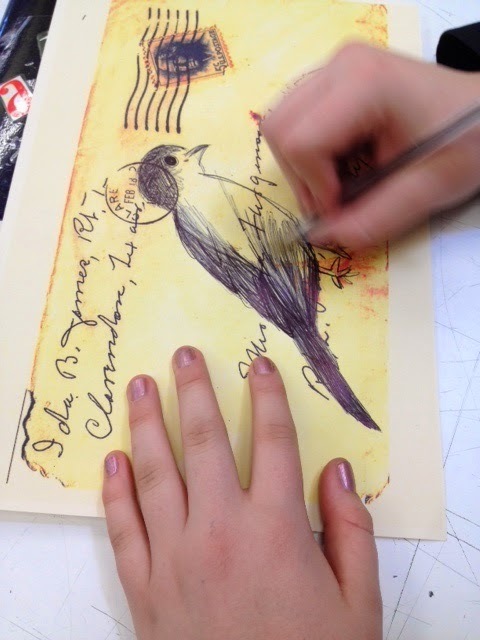 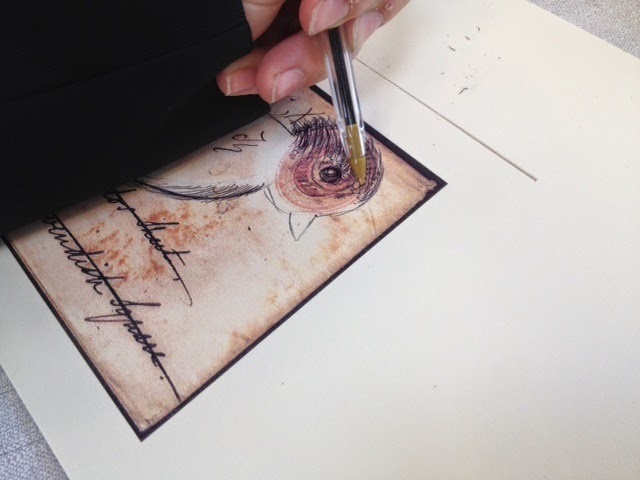 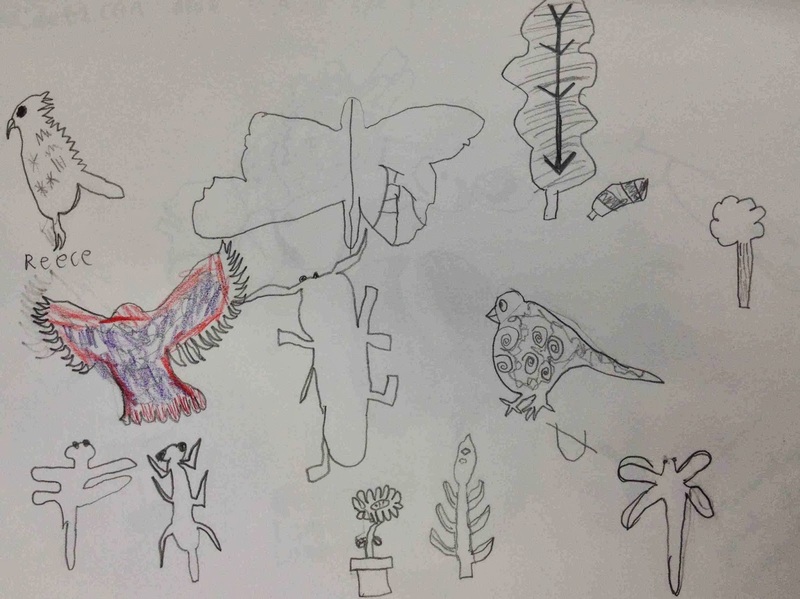 8M have used biro to draw birds onto used envelopes. 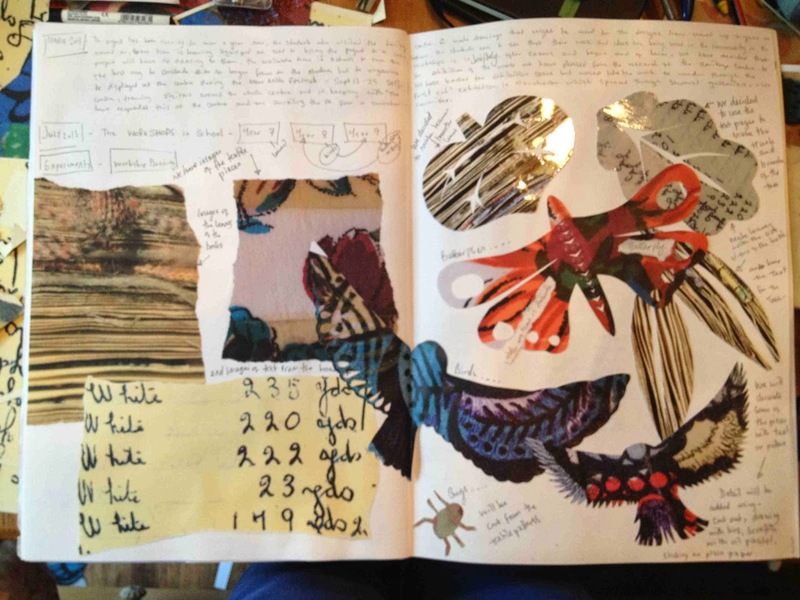 The work from these two projects has been combined and photocopied to produce the flock. 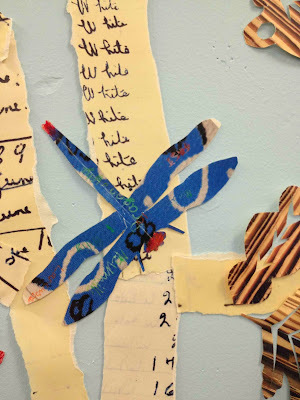 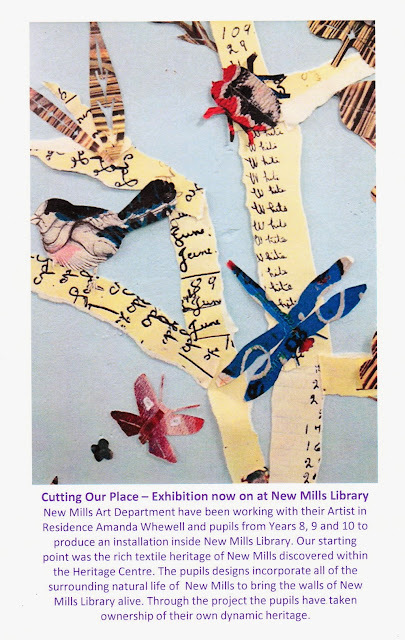 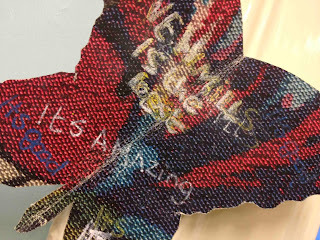 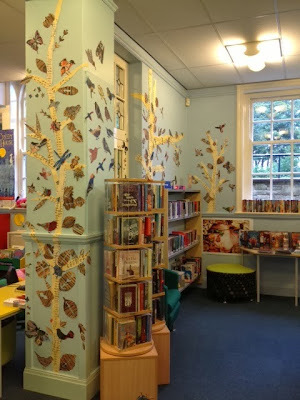 The Installation is a progression from ‘Cutting Our Place’ sited at New Mills Library. We are really pleased with our exhibition at the library and we have had such a good response to it that we are keeping it on display until at least the end of the year so if you haven't seen it yet there is still plenty of time. We have a journal at the library where you can find out all about the project and how we created the work. 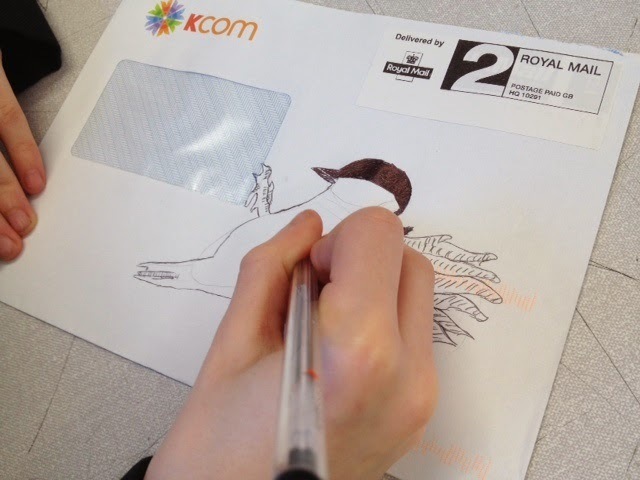 Please don't forget to leave us a comment in our comments book, or draw us a picture. 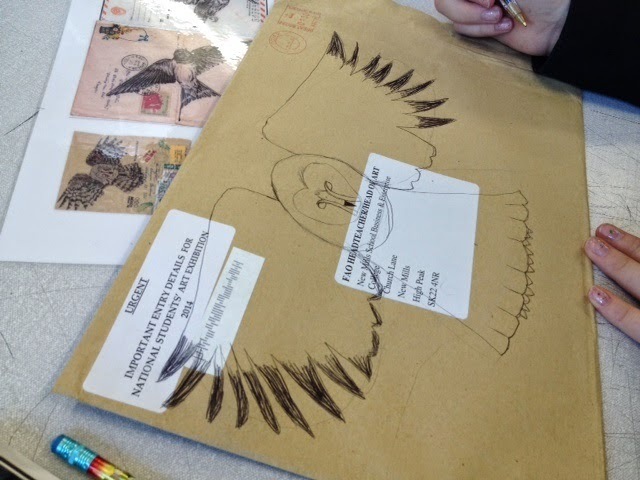 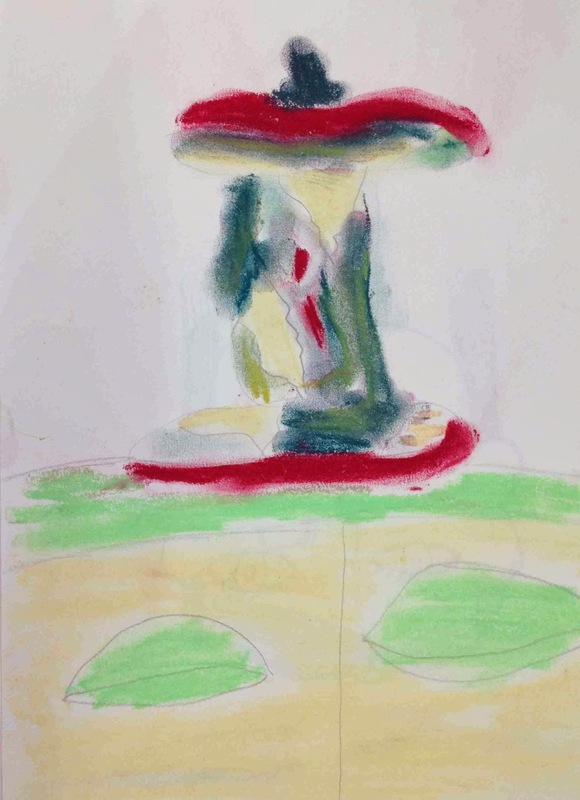 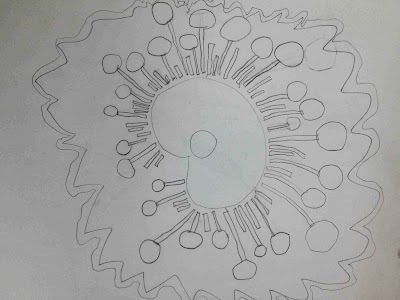 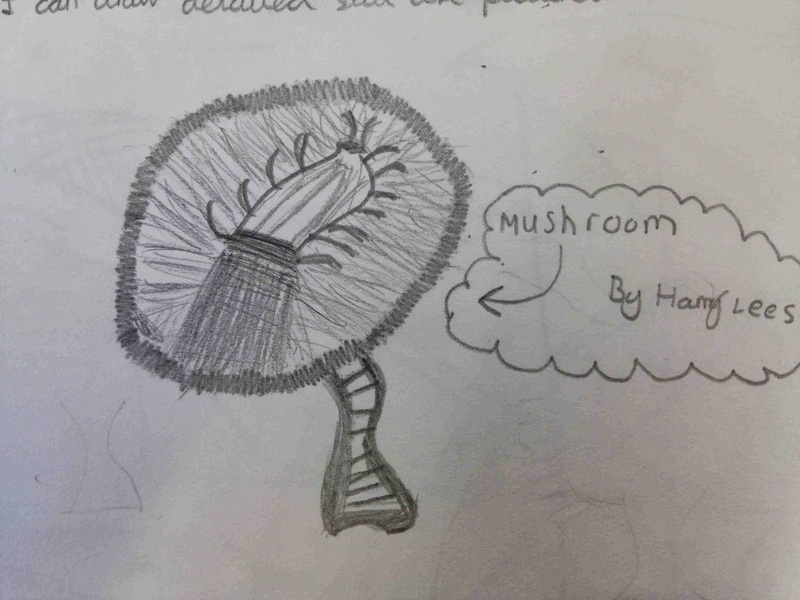 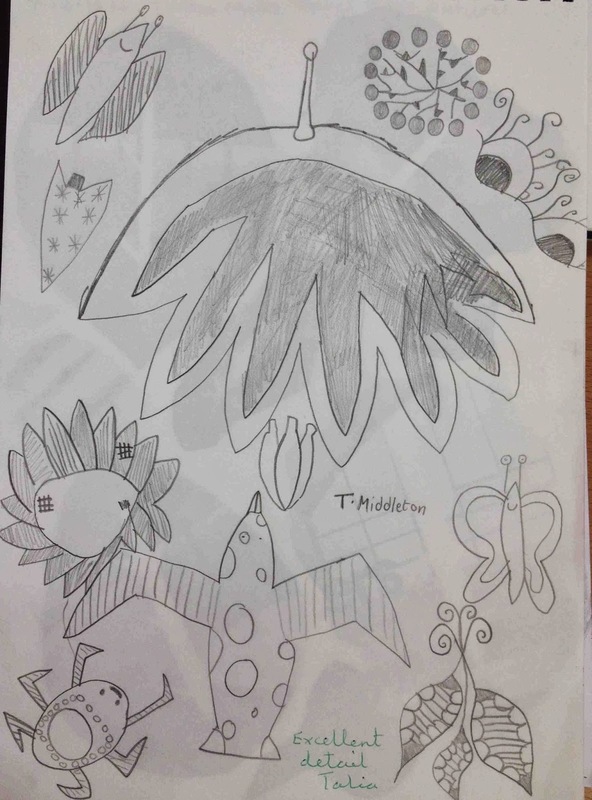 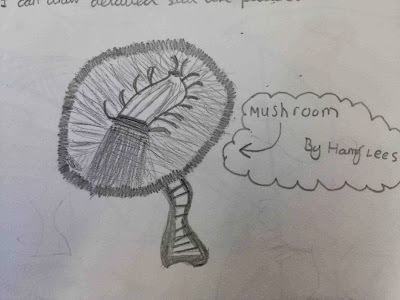 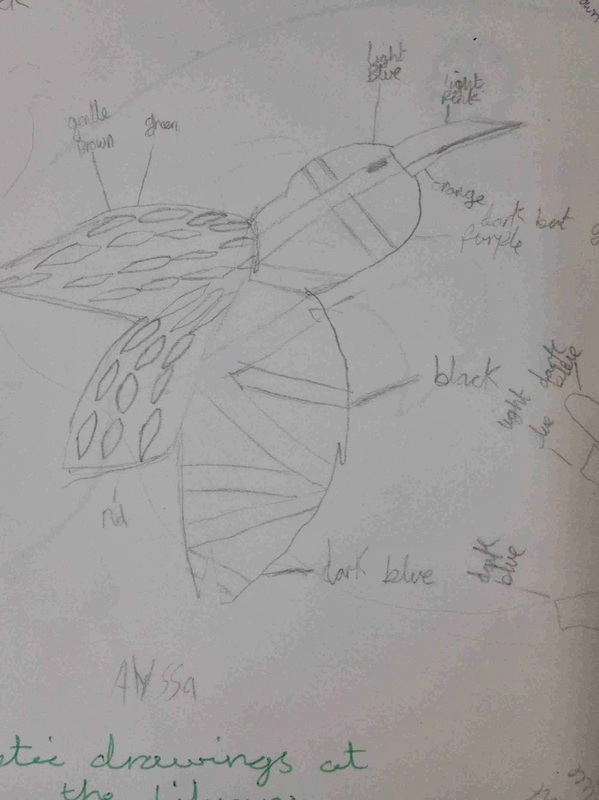 The year 6 children visited the exhibition at the library with their sketch books, they made some fantastic drawings. 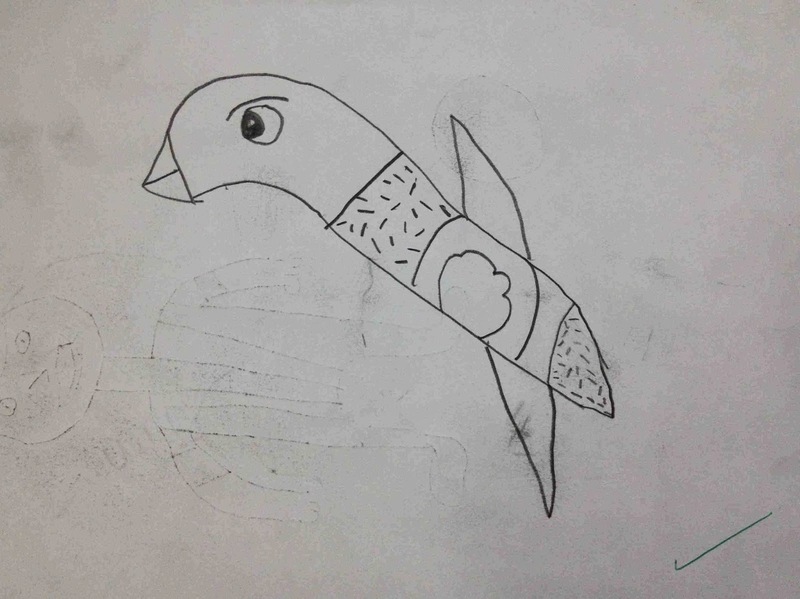 Some children created complete pages full of ideas. 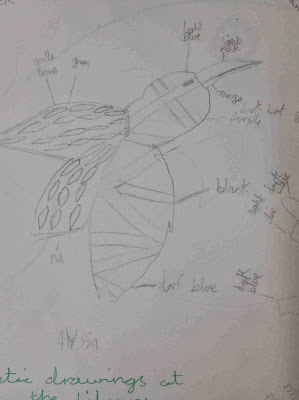 Some children made detailed notes about the colours and patterns and even noticed the thread deatils from the original fabric pieces. 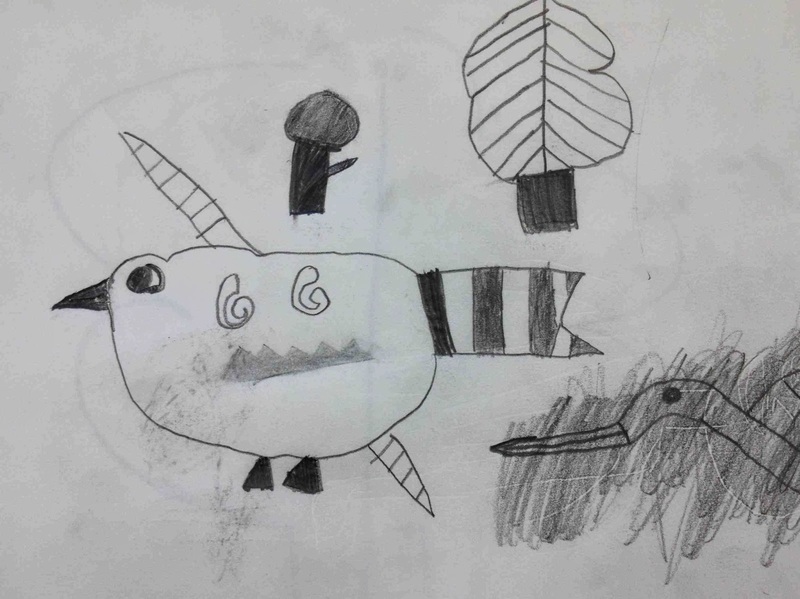 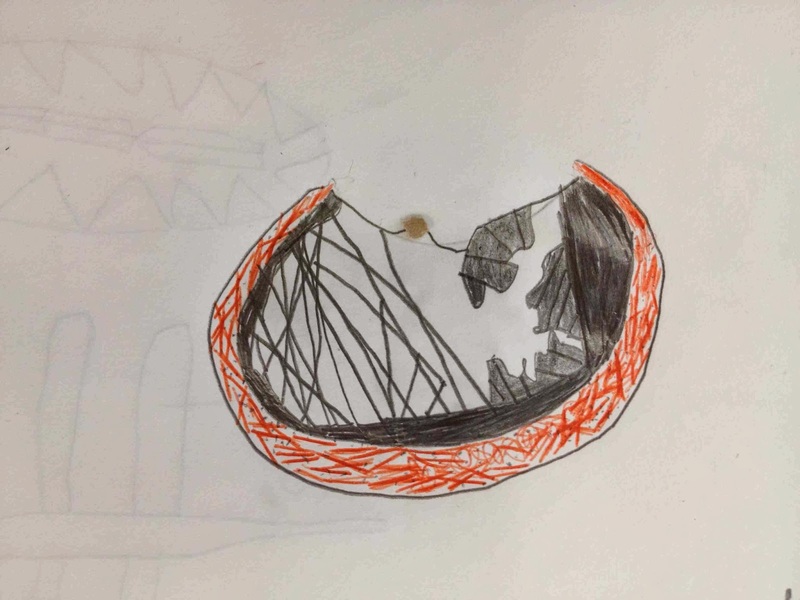 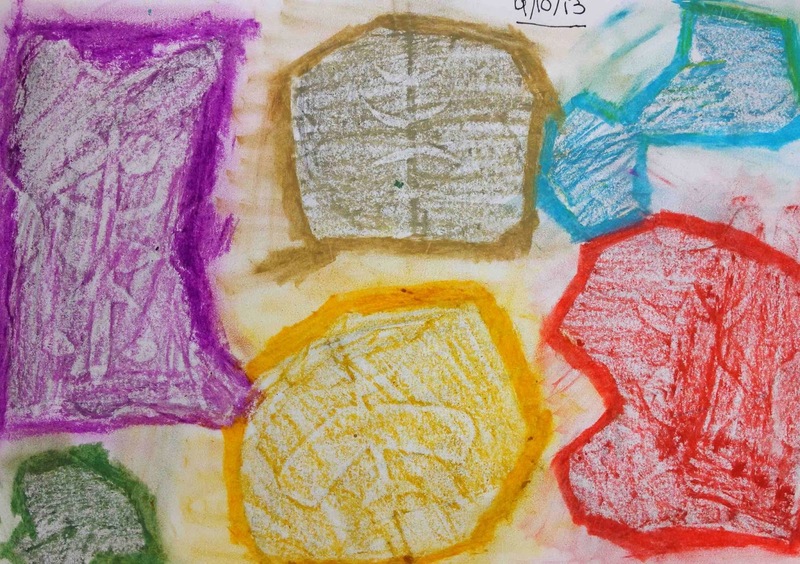 Some children picked out bold shapes and tones. 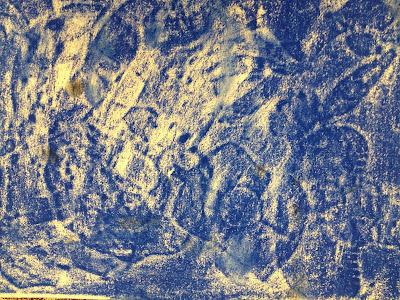 They also made some paper-cut leaves and took rubbings from them. 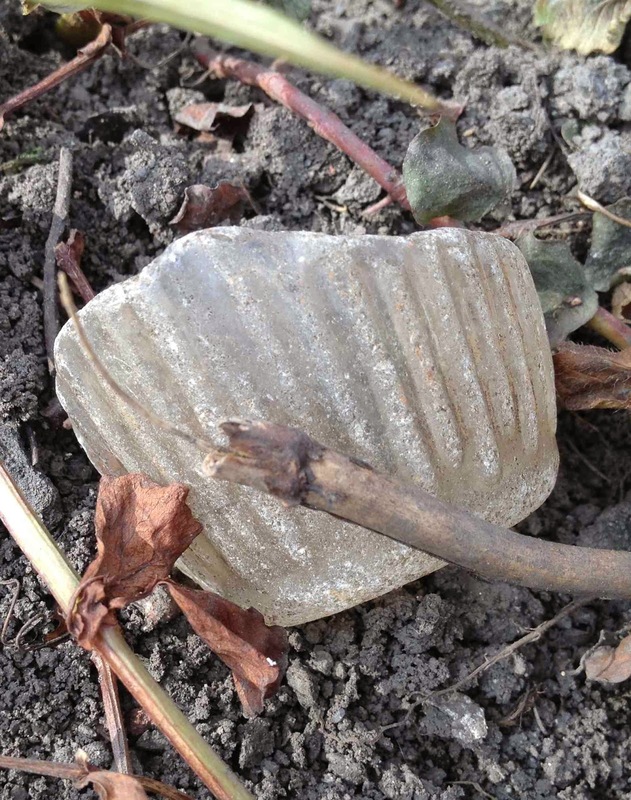 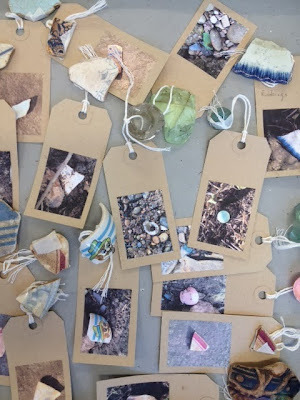 Following on from the 'Message in a Bottle' project I was inspired to start collecting things from the rivers in New Mills. 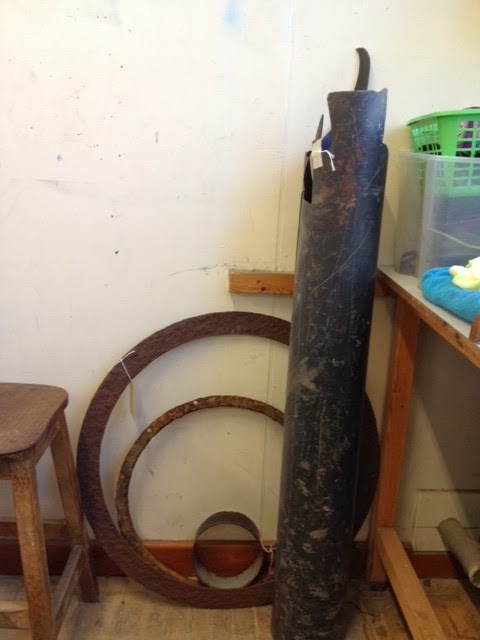 I have now collected hundreds of interesting objects which I am working with in my school studio. 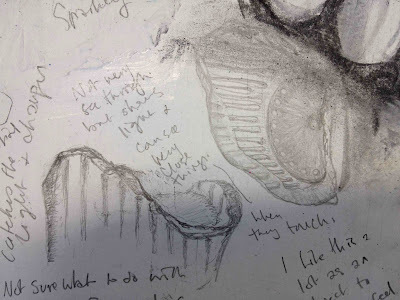 I have photographed, cleaned and recorded each object and am currently working through the pieces one by one making drawings and notes. Some of the objects are beautiful and inspirational. Some are difficult to work with and I don't like them. 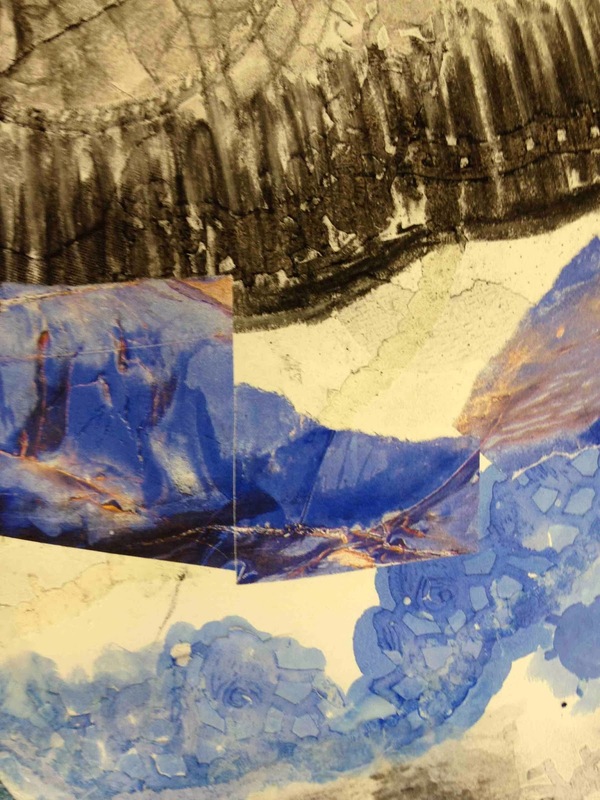 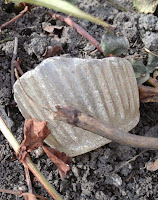 I especially like working with the ceramic fragments.